I’ll be glad to friends, but be warned there is much to tell! In the beginning, before the arrival of the patented Crazy Goat system, it was traditional to use an 80 kilo reinforced barrel, made with thick planks ( 7 to 9 cm ) with impressive iron rings. A new barrel would cost the equivalent of 1500 euros. This imposing storage would be un-transportable and expensive, it would pass from one generation to the next with family recipes. Filled once a year, at harvest time or the fruit picking season the barrel was stored in a cellar or a garage for at least a month’s fermentation before being able to taste the delicious nectar. Drinking ” La Chèvre” was a privilege and a rare moment only for family and close friends. The use of wooden barrels unfortunately meant frequent leaks and it would be difficult to keep one’s “goat” for more than a year. Sometimes a barrel could even explode causing considerable damage, because the pressure inside the barrel can build up to 20 bars. 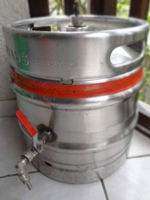 To replace this prehistoric “goat” barrel, imperfect as well as expensive, some have used the modern beer keg with more or less success. Storage is of course better than in barrels but transport and security remain a problem. The volume used makes it difficult to test easily different flavors and often means wasting produce, you need enough people to drink 30 liters worth ! 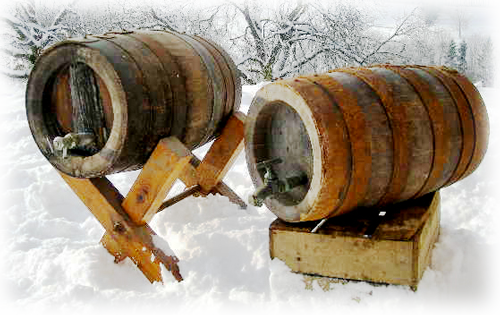 Storage, although improved from the traditional barrel, often means an approximate recipe three years later and the danger is giving your guests the three brothers goat… you need two to hold the one drinking ! This said, ” La Chèvre”, which was the ancestral name for the drink, has always been the « little something extra » that the master of the house offered his guests generously at the end of the evening to his friends.The tasting happened in the garage, the cellar or the barn, giving each and every one a memorable moment ! It goes straight to your head…with the speed of a falcon diving down onto its prey. For me the word “goat” evokes the difficulty of emptying and drinking a barrel containing 300 liters of foam ! 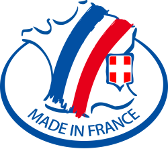 So i’ve called my barrel « Crazy Goat » which translates as « chèvre folle » in French. 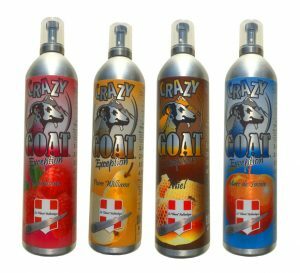 With the invention and arrival on the market of Crazy Goat, you can have a mini barrel at the ready, five magnums of foam possible, re-usable for life (or nearly), perfectly safe (up to 40 bars pressure) and very easy to carry your “Goat” around ! The secret recipe of fermentation that you will find on sale as a Crazy recharge is the fruit of a year and a half of passion, 180 trials. 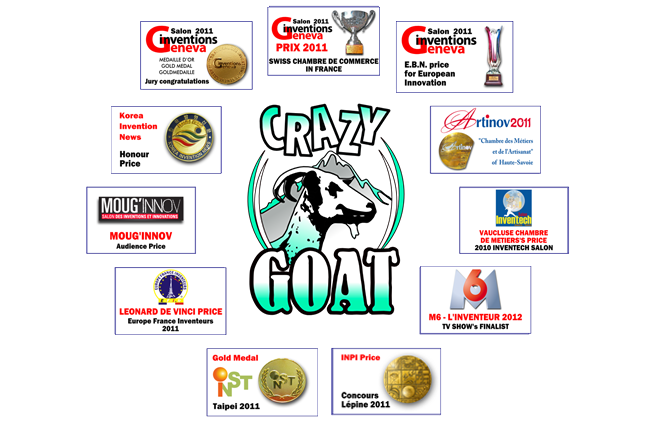 This will give you a perfect result and you will probably, when used correctly, sample one of the best « Goats » in the world… Yours ! You can of course invent your own recipes. Personally i have never tasted anything so good ! Instead of replacing, in a spirit of « sustainable development », thousands of aerosols thrown away every year, the performances of this kind of container allow new surprising and interesting applications.